More Info: This note card is blank on the interior. Original watercolor artwork by Jane Crowther. Made in the UK. More Info: This note card is blank on the interior. Original watercolor artwork 'Fairy-Wren' by Jane Crowther. Made in the UK. Inside: Wishing you a Merry little Christmas! More Info: High-quality textured card stock is featured on this wonderful Christmas card design from Avanti Press. Gold foil and glitter bring a wonderful sparkle to the star and snow on the front panel while red foil lettering on the interior verse adds another touch of class. Made in the USA. 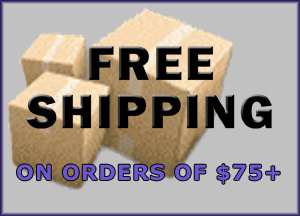 Printed on FSC certified recycled paper. More Info: Thin black swirling vines on white textured card stock combine with two thin purple lines to create this simple but striking Pictura note card design. Coordinating artwork appears on the envelopes and the back of the note card. The cards are blank inside for your message. 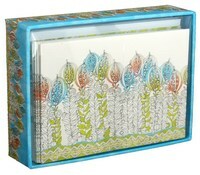 Includes 14 note cards and 15 envelopes. The decorative box measures 5.5x4x1.5 inches. More Info: Textured paper and red foil lettering give this card a unique look and feel. Made in USA. More Info: Coated glitter adds a sparkle to this wonderful Pictura note card design of a colorful flower on a light brown background. The card features textured paper and coordinating artwork on the envelopes and the back of the note card. The cards are blank inside for your message. 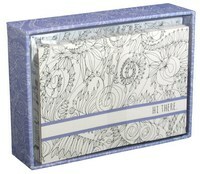 Includes 14 note cards and 15 envelopes. The decorative box measures 5.5x4x1.5 inches. 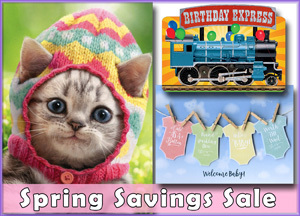 More Info: Textured card stock creates a unique look to this Easter card for your daughter. Glitter shimmers throughout the image including the flowers, bunny rabbits, church, and sun. Made in the USA. More Info: A generous use of glitter makes the daisies sparkle and shine on this beautiful Easter card for your Mom. Also feature textured card stock. Made in the USA. More Info: Textured paper and coated glitter accents add a wonderful look and feel to this Pictura note card design of four orange and yellow flowers. Coordinating artwork appears on the envelopes and the back of the note card. The cards are blank inside for your message. 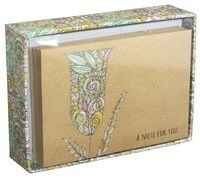 Includes 14 note cards and 15 envelopes. The decorative box measures 5.5x4x1.5 inches. More Info: A field of pink, green and blue flowers are shown on the front of this Pictura note card design that features textured paper and twinkling coated glitter accents. Coordinating artwork appears on the envelopes and the back of the note card. The cards are blank inside for your message. 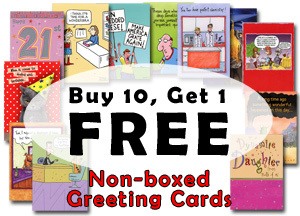 Includes 14 note cards and 15 envelopes. The decorative box measures 5.5x4x1.5 inches. Front: I like you so much it's spooky. Inside: I guess that's why you're my “Boo”. Happy Halloween! More Info: Textured card stock and a gold foil frame create a regal look and feel to this incredible artwork of Mary and baby Jesus. The gold foil lettering just adds to the quality. More Info: A simple illustration of three pairs is enhanced with textured card stock, coated glitter and die cut scalloped edges to create this wonderful Pictura note card design. Coordinating artwork appears on the envelopes and the back of the note card. The cards are blank inside for your message. 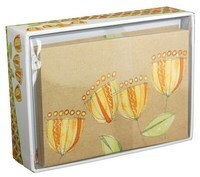 Includes 14 note cards and 15 envelopes. The decorative box measures 5.5x4x1.5 inches. More Info: A pair of geese take flight in this Christmas card for grandfather that features gold foil lettering, textured card stock, and a full-color insert on the interior of the card. 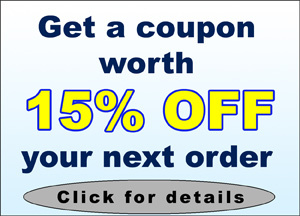 More Info: Gold foil and textured card stock bring a wonderful look and feel to the front of this card. The interior features an insert with a smaller full-color version of the front image. 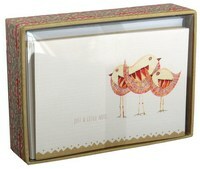 More Info: Textured paper and shimmering coated glitter enhance the illustration of three small birds featured on this Pictura note card design. Coordinating artwork appears on the envelopes and the back of the note card. The cards are blank inside for your message. 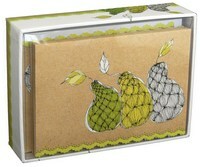 Includes 14 note cards and 15 envelopes. The decorative box measures 5.5x4x1.5 inches. 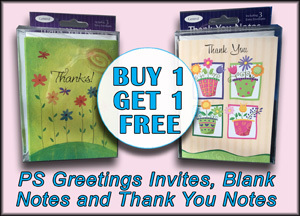 More Info: Embossed flowers are enhanced with bright pink foil and pearl foil. Pink foil is used for the lettering and the card is printed on textured stock. Made in USA. More Info: Textured card stock, silver foil lettering and snowflakes, and die cut edges make this adorable Christmas card something special.